Firstly, there is an umlaut which has been ignored. 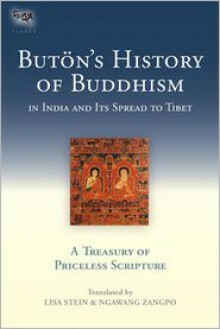 It is Butön's History of Buddhism.Secondly, the link sent to download the ARC doesn't work. As I don't have a kindle reader that particular link hasn't been tested.I'll leave it as a 'maybe' for now.